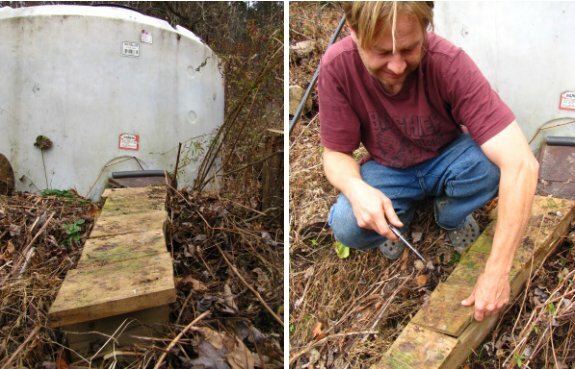 It's been a full year since we installed this experimental box to prevent the portion of our non-potable water line that goes from the tank to the ground from freezing. The line did freeze up a few times in that year because the end that goes into the trailer still needs attention. The frozen time was far less than the previous year and it seemed to thaw out much faster.